“DNS Lookup Failed” is quite common when you are using Google Chrome. This issue commonly arises when the settings are incorrectly configured or the DNS server stops responding. 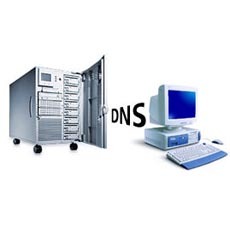 It’s always recommended to choose the Best DNS Servers for Your Computer. What does DNS Server Do? It translates domain names (eg: google.com ) to IP Addresses. How To Fix DNS Lookup Failed error? By Default in most computers, DNS server addresses are obtained automatically. You need to change it and use open DNS. 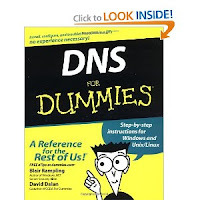 It’s recommended to use Google DNS. i.e 8.8.8.8 and 8.8.4.4 Or you can find the best DNS servers for your computer. Once you change the DNS server addresses, restart your computer. Clear cookies, Cache, Browsing History from your browser settings. Try to disable add-ons and see if its works. If you still get a problem try to use in private browsing. If all the above steps fail, go to Google Chrome settings, Click on show advanced settings and under privacy you would find “Use a web service to help resolve navigation errors” just remove the tick from the checkbox next to it and restart chrome. If the problem is resolved great or else follow the second method. Apply changes and restart your computer. My DNS still does not work, even after doing this. I opened a terminal and typed in ping 4.2.2.2 and it says “request timed out” – I know very little about computers, but this is the second internet connection spot where this has happened. I’m using google chrome, but IE does not load either. Any suggestions/thoughts? What type of internet connection do you have at your place? Is it ADSL or Cable Broadband? Is Adsl, then is your modem connected to a router? Hi, I’m having trouble with the same thing. DNS lookup failure and it is happening after I setup a wireless bridge connection. The wireless network seems to be created by the bridge router and SSID shows up fine, you can even get connected to it on mobile devices but no internet and I also have a PC connected via ethernet to the bridge router which is where I’m getting the DNS loookup failure. I believe it is probably a configuration error causing the DNS problem and the no internet problem but I can’t figure it out. Any help would be appreciated, thanks. Hi Aj, Try changing the DNS address. Check this post to find the best dns servers for your computer. Once you change the dns,restart your computer. Clear cookies, cache history etc from your browse. Disable add-ons and try private browsing. Did you try to install chrome? If not, uninstall and try reinstalling the latest version. I tried the same in google chrome. But still the dns lookup error exists both in chrome and firefox browser. I cant able to open the site. help me.